Starting next week, T-Mobile will bolster its lineup of available Samsung hardware. The big news here is the Galaxy Note 10.1 2014 edition, which will fill the somewhat shallow ranks of T-Mo's tablet selection. Magenta customers will also get access to the Galaxy S5 in Metallic Gold (Gooooooold!) starting on May 30th. The new color variant will be available online and in some retail stores, but only "for a limited time." The Galaxy Note 10.1 2014 Edition will be available starting June 4th, but if you're really excited, you can get a pre-order in right now. The tablet will cost you $99 down plus $23 a month for two years, bringing the total price up to a cringe-inducing $652. (I would expect the outright price to be about the same.) Just for the sake of comparison, the 16GB version of the WiFi-only tablet is $550, though it frequently goes on sale, especially now that the Note Pro line is available. Verizon's version of the Galaxy Note 10.1 2014 is $700 off-contract. Despite being basically replaced by the newer Note Pro, the Note 10.1 2014 is still a powerful device, and miles ahead of the Galaxy Tab 3, the only other Android tablet T-Mo is offering at the moment. Its 2560x1600 screen and 3GB of RAM are top of the line, even without the added benefits of an Exynos 5420 processor and the standard Wacom digitzer and S-Pen combo. And of course, T-Mobile's 200MB tablet data deal applies. Is it worth the high price tag? That's for you to decide. BELLEVUE, WA – May 21, 2014 – T-Mobile US, Inc. (NYSE:TMUS) today expanded its fast-growingdevice line-up with new options from Samsung. Beginning today, T-Mobile is now takingonline pre-orders for Samsung’s stunning Galaxy Note® 10.1 - 2014 Edition. And – thanks to the Un-carrier’s Tablet Freedom program – customers can add their new tablet to their voice plan completely free of charge and get nearly 1.2 GB of free 4G LTE data every month through the end of 2014 – and 200 MB of free data for life every month after that. The Galaxy Note 10.1 helps round out T-Mobile’s rapidly expanding selection of powerful, sleek tablets. With its vivid 10.1” HD screen, fast quad core processor it is sure to amaze. At just $99.99 down (and 24 monthly payments of $23 on T-Mobile’s Equipment Installment Plan), it provides customers who love entertainment on-the-go and want to use multiple applications at the same time (with the ease of a stylus), a sleek new option. 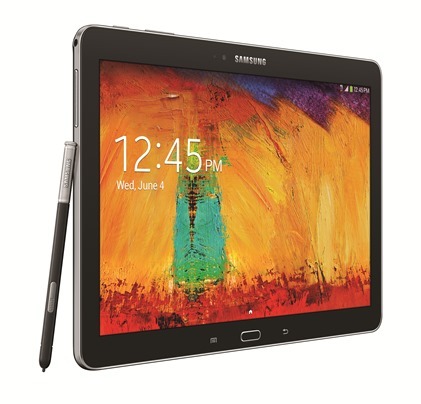 The Galaxy Note 10.1 will be available for immediate purchase online and in participating retail stores nationwide beginning June 4th. For those stuck in a contract with an old carrier, the Un-carrier will pay every penny of your early termination fee (ETF) when you make the switch and upgrade to a new tablet. Simply bring in your tablet to get an instant credit based on its value – which you can apply to your purchase of any tablet, smartphone or accessories. When you get the ETF bill from your old carrier, bring or mail it in and T-Mobile will pay the balance in full. T-Mobile is also now offering $10 off its most popular mobile internet data plans through the end of the year. For voice customers, this means you can get nearly 1.2GB of free 4G LTE data every month through the end of the year. After 2014, you can continue enjoying life beyond the Wi-Fi zone with data plans starting at just $10 a month with voice service. In addition, T-Mobile announced that Galaxy fans and the fashion-forward crowd can now get the Samsung Galaxy S 5 in shimmering metallic gold – just in time for summer. 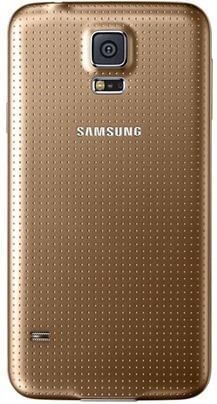 Beginning May 30th, the Samsung Gold Galaxy S 5 will be available for a limited time in select T-Mobile retail stores and online at T-Mobile.com. S-Pen™ experience & innovation. The S Pen is so much more than just a digital pen or stylus, it offers the comfort of a pen and the control of a mouse, so you can create, compose, and edit virtually wherever you are. Multitasking capabilities. Make the most of the big screen real estate. With Multi Window™ on Note 10.1 (2014 Edition) you can seamlessly use two different applications side-by-side and easily drag and drop content from one window to another.